With schools not having the best reputation for healthy lunch options these days, it’s a no-brainer to pack a brown bag filled with healthy goodies for your little ones as they head to school. But what can you pack that’s both unique and fun (and PB & J doesn’t count, ladies!)? Thankfully, Alyse Levine, LIVESTRONG.COM nutrition adviser and founder of NutritionBite LLC, has some fab ideas to share! With the new school year in full swing, it’s time to start thinking about healthy school lunch ideas that your kids will actually eat. 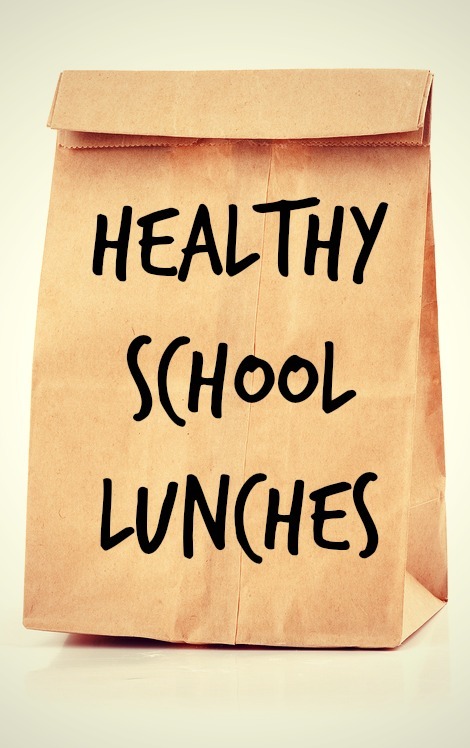 Generally speaking, a grade school child’s lunch should include a healthy mix of protein, carbohydrates and fat. More specifically, it should include a main protein source that you know your child will like, along with a starch (one or two pieces of bread or half a cup of a cooked grain), at least two fruit or vegetable servings and some dairy (milk, yogurt, cheese, etc). The following are examples of simple lunches to throw together that your kid will love to eat! Mini Pizzas. Top an English muffin with tomato sauce and organic mozzarella cheese. Allow your child to choose toppings, such as red pepper, chopped broccoli, sliced olives and mushrooms to add to the pizza. Broil the mini pizzas for a couple minutes in the toaster oven until the cheese is melted. Let the pizza cool before covering in foil and packing it up to go. Serve with some bell pepper strips and an avocado dip (mashed avocado with one tablespoon of chopped tomato mixed in). Banana Hot Dog. Fill a whole-wheat hot dog bun with a banana and natural peanut butter and drizzle with honey. Serve with organic low-fat milk and sugar snap peas with a yogurt/salsa dip for dunking (simply mix plain organic yogurt with salsa). Shooting Stars. Put organic cheddar cheese, hummus and avocado between two small whole-wheat tortillas. Use a star-shaped cookie cutter to create sandwich stars. Serve with whole-wheat pretzels and grapes. Leftover Chili. Fill an insulated jar with last night’s turkey chili. Top with shredded organic cheese and serve with whole grain crackers, organic milk and no-added-sugar applesauce. So now that you have some food ideas, what about non-food related ways to make a packed lunch more exciting? Try these! Write little notes to your child and hide them in the lunch bag. Try wooden utensils instead of plastic. These will be eyed as a cool lunchbox addition by your kid’s classmates and they are eco-friendly, too! Aim for a variety of colors. In addition to packing a variety of colorful fruits and vegetables in your child’s lunch, try adding different colored napkins and utensils to brighten up the meal. Buy a neat lunchbox for your kid to carry to school or buy stickers for them to decorate it with.